If you need to reach out to prospective employers and demonstrate why you’re the perfect choice for the job, you’re going to need to take a look at a personal value proposition statement example. Learn how to craft the ideal personal value statement example to fit your strengths and you’ll be at the top of everyone’s list. What Is This Personal Value Proposition Statement All about? All value proposition statements display marketable skills that can be used for the benefit of others. Writing one is all about demonstrating to your prospective employer why they should hire you and not someone else. It’s a focused attempt at linking your positive characteristics and abilities to the needs of others and making the most of what you have to offer. 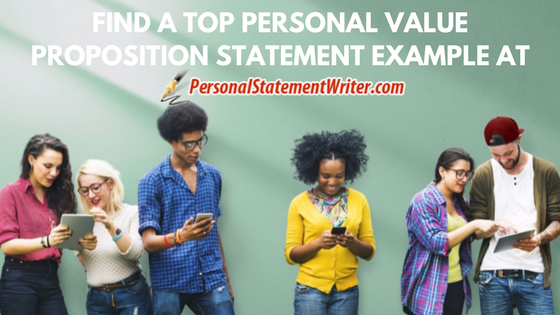 Generally speaking, there are four main aspects to personal value statements. The first thing to consider is your target, or in other words, the direction you intend to take in your career. This part is all about what you would like to do for your potential employer. It should be direct and straight to the point. You need to be very specific and exacting about what your positive characteristics are. These strengths are what’ll interest people in your job application. The next stage is to connect your stated target to your strengths, making it clear how they’re linked. This will show you employer precisely what you can do for them in no uncertain terms. Anything you say needs to be supported by genuine, verifiable evidence. You might want to refer to a portfolio or a collection of reports at this stage. Anything that proves you’re as good as you say you are is suitable for use here. Learning by example is one of the best ways to discover how successful people got where they are today. You can see how some of the biggest companies in the world write their value propositions and learn from their expertise. 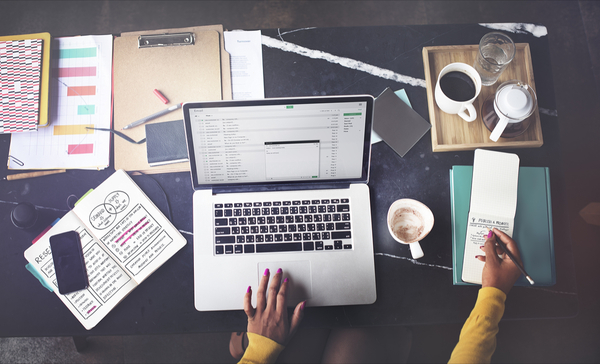 Using an expertly written example version of a value proposition personal statement can give you the inspiration to write your own. Ultimately, improving your statement comes down to making each of the four components of it as good as possible. You can easily supply a professional writer with these details so that they can craft the perfect statement on your behalf. Looking at your target, you can see that specificity is key. You would be well advised to speak honestly and simply about what you want to achieve here. Insincerity is blindingly obvious when it comes to written statements, so make sure you tell the truth, the whole truth and nothing but the truth. Defining your strengths isn’t always easy, and that’s okay because authentic introspection is uncomfortable at the best of times. Think firstly about the characteristics that define you on a personal level, then consider the tasks you’re known for completing effectively and the environments in which you prefer to dwell. To link your strengths and targets, you have to put yourself in your employer’s shoes. Think about what they need and what they expect from you. Be clear about how your positive characteristics and your career goals are inextricably conjoined and how this has major benefits for everyone involved. Demonstrate this with examples of outcomes achieved directly because of your inclusion in relevant projects. If you’re stuck for words even though you now understand the importance of composing a value proposition personal statement, you should hire professional services for personal statement writing to help you get your point across. Using a personal value proposition statement example is a great way to learn how successful people rise above the rest to reach the top of their chosen fields. You can join their lofty ranks when you hire a professional writer to craft your characteristics and abilities into an ideal statement. Make the most of any personal value proposition statement example you look at. Hire an expert and reach the heights of your profession!